Combine Pickled Red Onions ingredients in medium bowl; stir well. 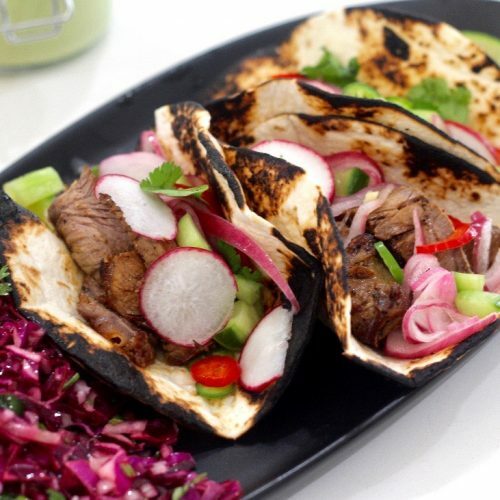 Cover and refrigerate while preparing steak tacos. In a large bowl, combine paprika, chipotle powder, cumin, garlic powder, salt, pepper, brown sugar, lime juice and oil. Rub marinade on steak and let sit at room temperature for 1 hour. Place the steak (without the marinade) on the grill and grill over moderately high heat, turning twice, until lightly charred on the outside and medium-rare within, about 10 minutes. Transfer steak to a cutting board and let it rest. Meanwhile, warm tortillas in a dry skillet or directly over an open flame until they are warmed through and some charring has occurred. Thinly slice the rested steak across the grain on a diagonal. 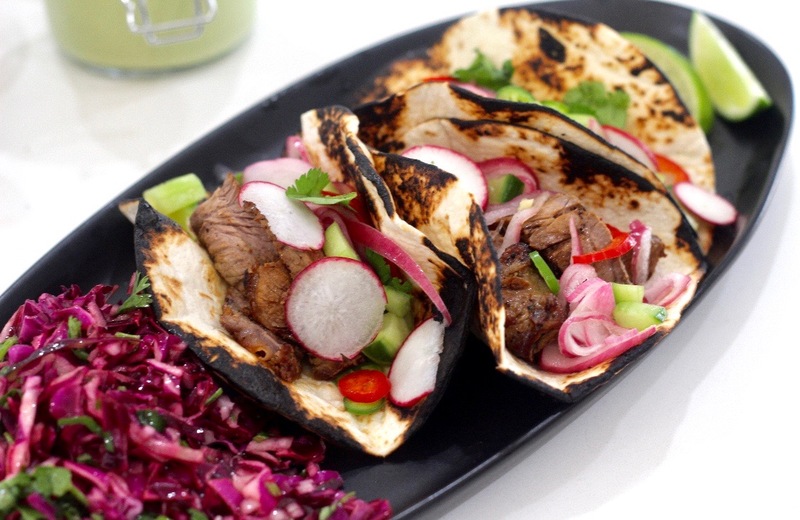 Serve sliced steak with warmed corn tortillas, lime wedges, fresh cilantro, radishes, serrano chile slices, cucumber, cheese and pickled red onions.